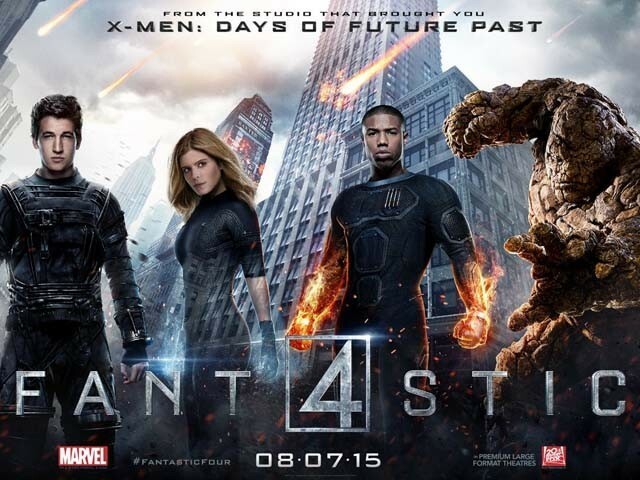 Fantastic Four starts with the same wonder and enchantment as films from my 80s’ childhood, like The Extra Terrestrial (ET) and The Goonies, but swiftly loses any further similarities to these classics and succumbs to an overly simplistic action-based plot that fails to take stock of what is important here – the characters (ironic seeing as this reboot is meant to be an origins story). As with many prequels, we think we are here to understand a little more about what drives these superheroes we have come to love while also exploring a journey that we should already feel a part of but instead we don’t get to fill in the gaps with any substantial explanations and ultimately fail to grow closer to these characters (the best Marvel way to do this being through humour as with Iron Man) leaving us feeling like we’ve wasted our time. The premise, which is full of pseudo science, involves vast suspension of disbelief on many fronts not least the science aspect and centres around Reed Richards (Miles Teller), a wunderkind at school, who with the support of his friend Ben Grimm (Jamie Bell), manages to create a machine to teleport inorganic matter to another dimension and bring it back. A few years later at his school science fair, Richards, or commonly known as Mr Fantastic, is recruited by Dr Franklin Storm (Reg E Cathey) who with the help of Victor Von Doom (Toby Kebbell), the doctor’s dangerous protégée, has managed to send matter off to another dimension but is yet to bring it back. Bringing the two together with his son Johnny Storm (Michael B Jordan) and adopted daughter Susan Storm (Kate Mara), Dr Storm hopes to create a teleporter to take humans to another dimension and safely bring them back again. Josh Trank, director and co-writer, spends a relatively large amount of time on this setup, leaving little opportunity to fit in what then compels a seemingly intelligent team of men to get so drunk that they head off into a vessel to take them to a realm that they have so far only sent a monkey to. This move would perhaps make sense if we had some relevant background story for Richards, or if we had seen that his friend Grimm, who becomes a last minute addition to the mission, had wanted to be a part of Richard’s new world, or even if the dangerous protégée had some dastardly plan, but no, this is just the way the film is propelled forward, lazily and without thought put into the ‘why’ over the ‘how’. Upon their return, the team is transformed into their ‘Fantastic’ selves but it is when we lose Richards – who runs away and abandons his friends – that Fantastic Four really loses its sense of self. In the final act, as a sense of false sentimentality sets in, through an artificial familiarity with the superhero setting that is flimsy without a well-developed storyline, we are left with too many questions batted away by action and feeble attempts at some higher brow concepts. If the magic and wonderment are manufactured, all else seems to follow suit and in a linear very predictable way, it’s paint by numbers writing with some attempts at heart and feeling thrown in that fail to engage the audience as much as they should, leaving no room for humour to mix it up a little. Having said all this, the film is well acted and still reasonably entertaining if you go to watch it as an action movie rather than the comic escapade with complex narrative we have come to love from Marvel. There has also been a lot of internet chatter as to whether Fox Movies, Fantastic Four’s distributor, ended up meddling too much and ultimately wrecking the film, but regardless, there is indecision in this production and paired with an overly simplistic script there’s nowhere to hide. What’s perhaps most frustrating is that it’s not a terrible film, it just could have been so much better if only it focused a little more on what matters (the clue’s in the film’s name).